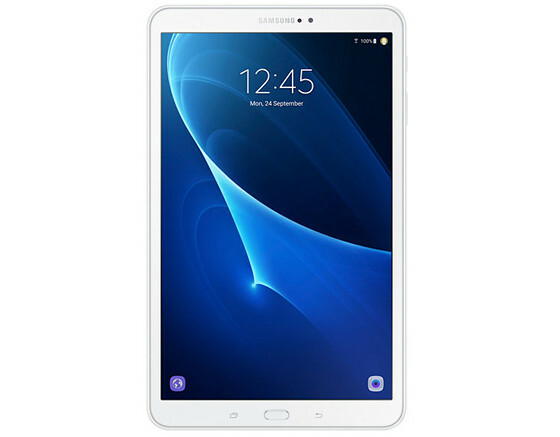 Samsung has quietly released a new 10-inch tablet in the US, the Galaxy Tab A 10.1 SM-T580. It has a number of good things going for it, including a high-res 1920 x 1200 resolution screen, a 1.6 GHz octa-core processor, and Android 6.0, the latest version of Android that’s still only available on a small percentage of devices. There hasn’t been an official announcement about the release yet but the new Galaxy Tab A 10 turned up for sale on Amazon the other day for $297. That’s a pretty good price considering the specs. The 10-inch Galaxy Tab 4 sells for more than that and it doesn’t even have a high-res screen. It’s good to see Samsung going with the higher resolution screen on the new model instead of the 1280 x 800 screens on most other 10-inch tablets. Not all the specs are accurate over at Amazon since it’s such a fresh listing but there’s a page on one of Samsung’s international websites with a list of all the specs for the Galaxy Tab A 10.1 SM-T580. In addition to the aforementioned specs, it comes with 16GB of internal memory with 10.5 GB available, it has 2GB of RAM, and supports microSD cards up to 200GB. It has Wi-Fi, GPS, Bluetooth 4.2, Wi-Fi Direct, a 3.5 mm headphone jack, dual speakers, it has an 8MP rear camera and a 2 MP front camera, rear LED flash, GPS, and the usual sensors. Battery life is an impressive 13 hours with a 7300 mAh battery. A couple months ago I posted a review of the new 2016 7-inch Galaxy Tab A, but it doesn’t really have much in common with the 10-inch model other than the name.